You know those little boxes that appear in Google search results listing company names, addresses and hours of operation? That is Google My Business. Google My Business boosts visibility in search, map searches, and Google+. As far as SEO goes, if you’re not on Google My Business, then you have no business. 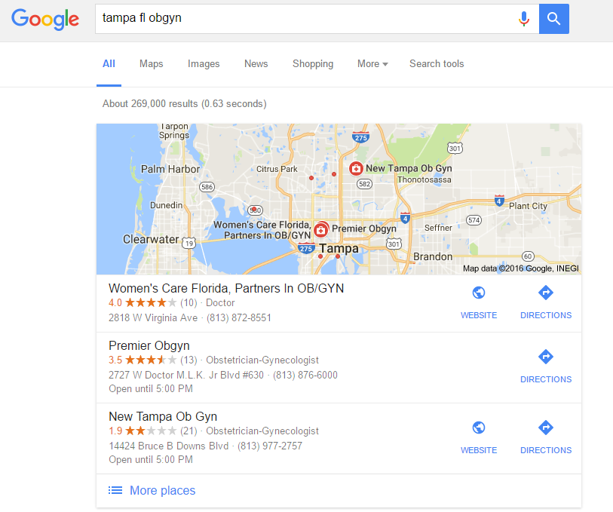 Update: In January 2016 Google made updates to how their local business listings appear in search (replacing a listing of 7 with a listing of 3 GMBs), and they gave their Google My Business dashboard a facelift, too.